Create a menu template and save it to be able to use over and over again! Either way you open the template editor you will see you also have the option to edit and existing template and save it definitely with the changes you prefer. 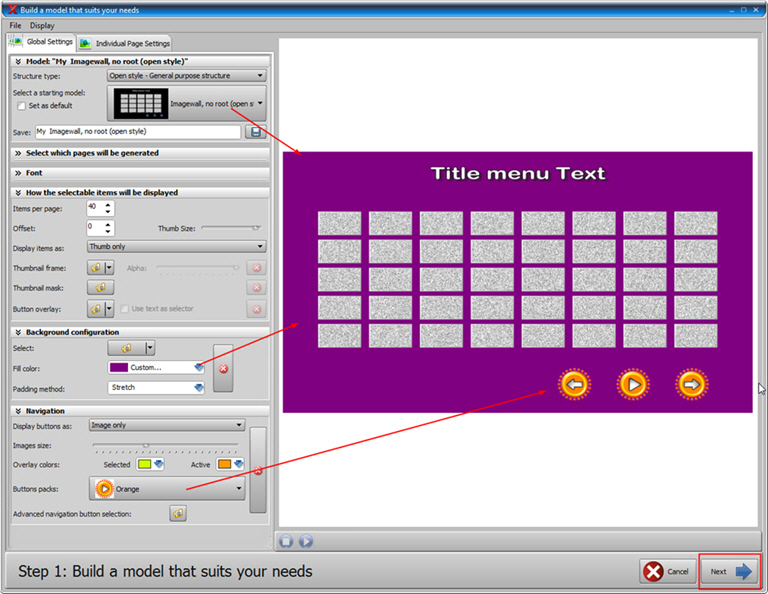 There are two main steps when creating a new menu template. The 1st step is setting up the basic foundation work for your menu, the bare bones if you will. This 1st step is also the only place you can change the display item mode, navigation mode, and structure type or pages to be generated. Once you click on Next you cannot go back to step 1. The 2nd step (after you press Next) will allow you to adjust the individual items composing your menu. In the 1st step you will see two tabs: Global settings and Individual Page Settings. Under Global settings select the structure type and model you would like to base your menu on as well as any other changes in the various sections. You can see your changes live as you go in the preview window on the right. It could be a good idea just to play around with all the settings and see what the different options look like in the preview window and start a new menu once you've got a feel for all the different types of things you can change! To understand the General menu structure proposed by VSO Software check out this section of this guide, titled "2. Menu Types - Structure explained". Some details in regards to the Global Settings tab. The first step in the Global Settings tab is to select the structure type. 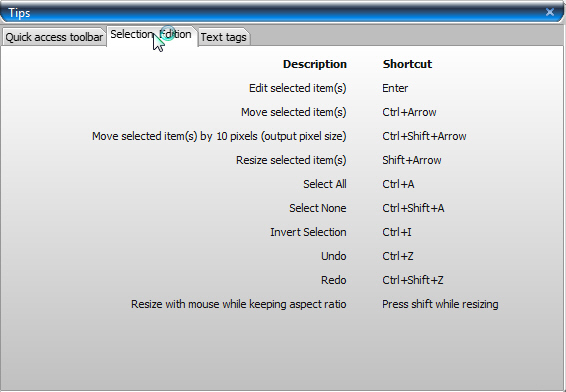 Then you can select a "starting model" in the drop down list, so you really don't have to start on a blank slate. - The fonts displayed are the one installed already on your computer. 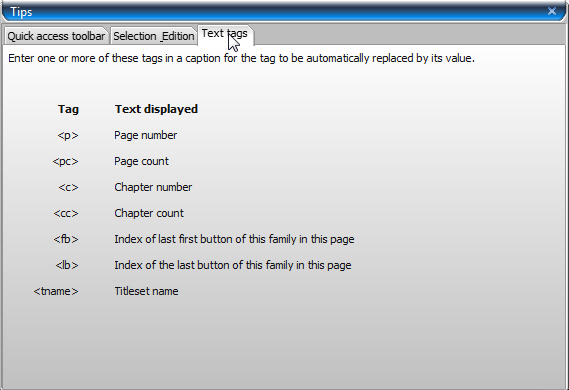 - The option Base size allows you to proportionally increase or decrease the text used in all the menu templates. You can do fine tuning in the next step. - Interactive color: refers to the color to be applied to items in the menu which are selectable with your remote control (like the videos to play or the audio stream you will select). Having a different color for interactive and non interactive items helps visually to understand a menu page and where the selector will move when navigating with your remote control. - Thumbnail frame, mask and button overlay: you can select one of these in the drop down list or add your own desired item. A fun trick is to select the thumbnail frame and then press the red X to the right of that, you get the back to appear giving your video thumbnails a new shape but without the frame in case you would prefer that. 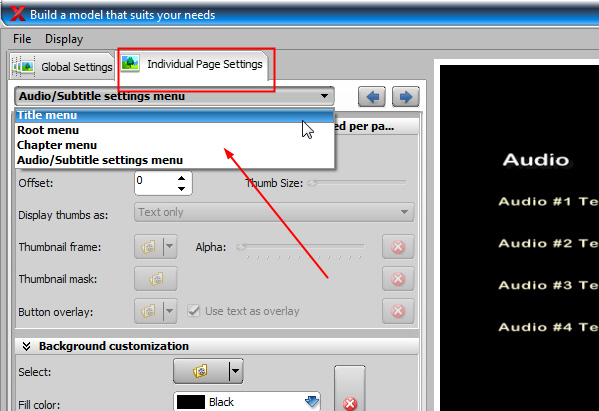 If you want specific pages of the menu to be different then click on Individual Page Settings and adjust accordingly. 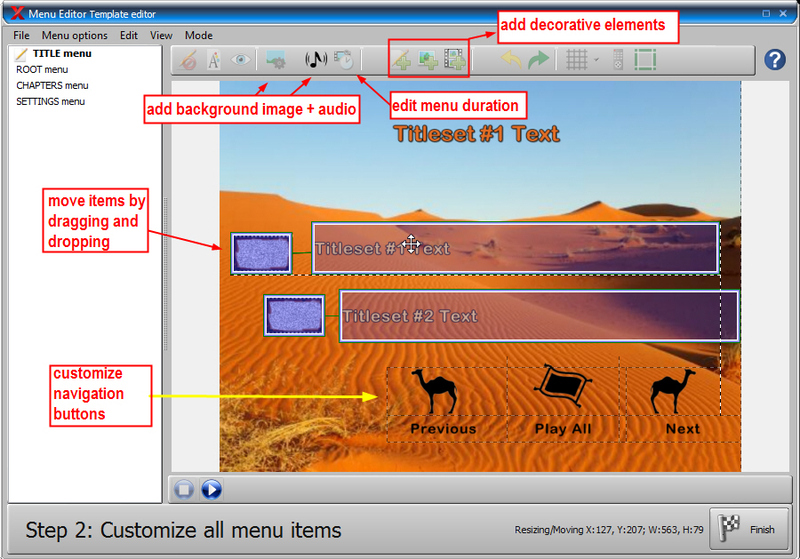 Examples of what can be done in the 2nd step, resize menu elements, change placement of items, edit menu duration, background audio, change the text style, add decoration elements, etc. 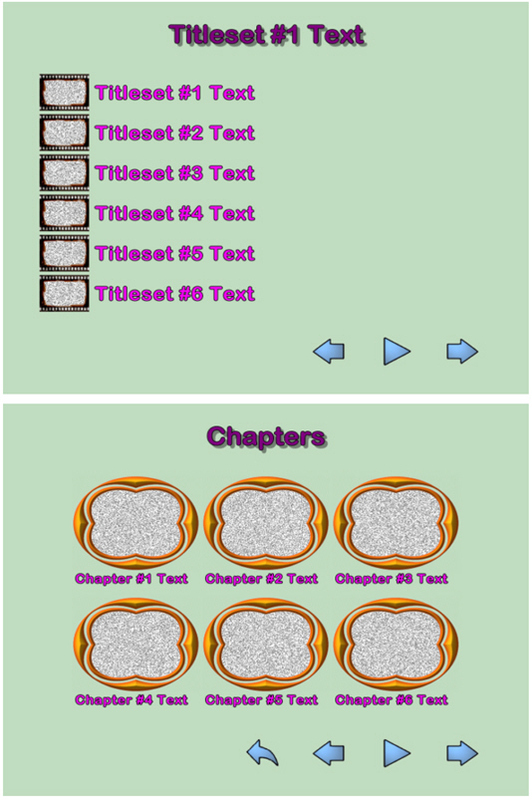 Once you have made the changes you'd like in step 1 and 2 then in the bottom right when clicking on Finish you will be prompted to save your template. Below I've entered some personalized text to help me identify at a later time my template. 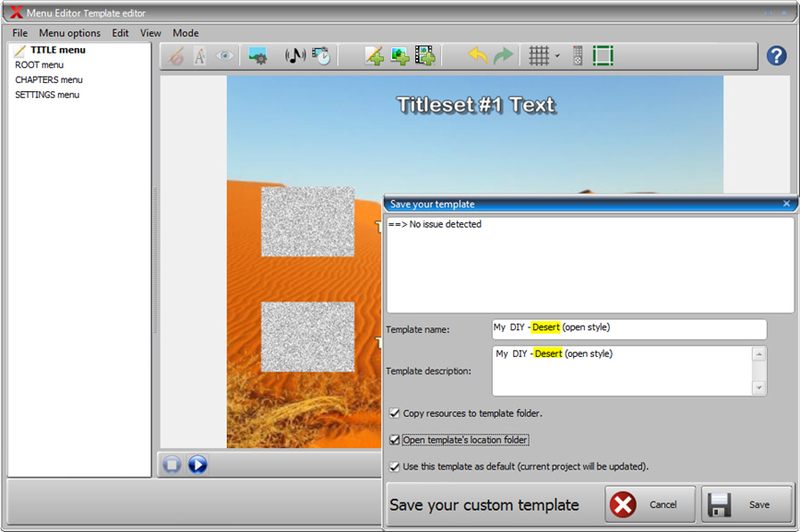 The option "Copy resources to template folder" makes this template "portable". You can share it with friends or zip it and publish it on the forum and other users who import this folder to the location where other menu templates are stored for their VSO app can use your menu template too! "Use this template as default" will pre-load this menu so that your next conversions will use the new template you've created! Click on the ? 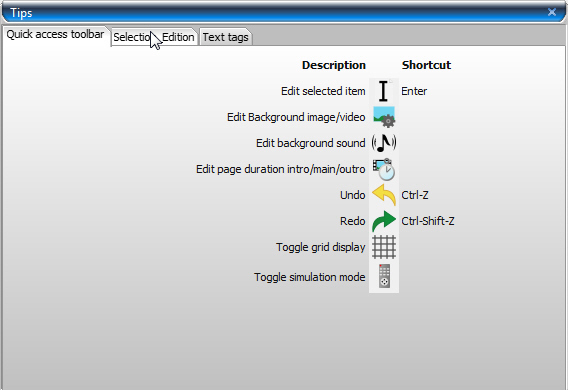 icon in the upper right hand corner of the template editor to see various tips and shortcuts that exist. Here they are below. 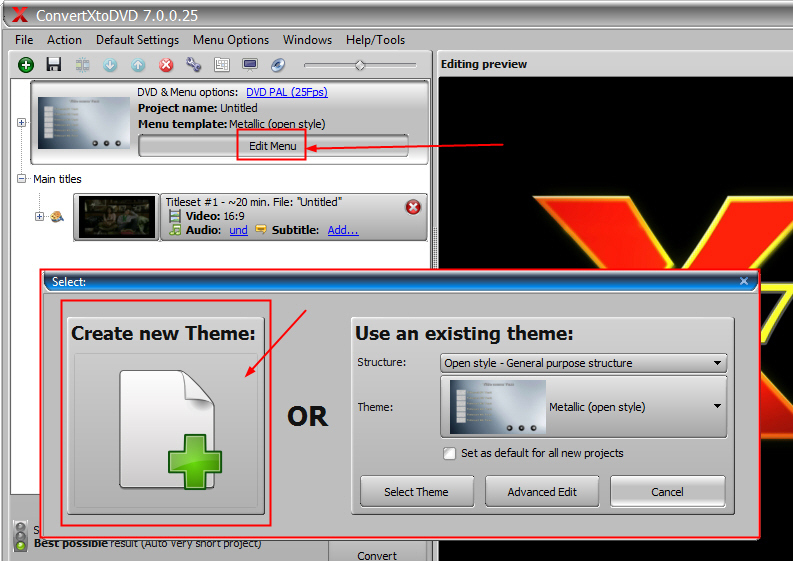 In the example above I have checked to "Open the template's location folder" as I will copy this template made in ConvertXtoDVD so I can use it in ConvertXtoVideo (application closed).